An increasing number of small businesses are using server platforms, discovering that they can support the sharing of applications and data, provide smarter backup and archiving, and improve data security. But servers burn up energy and require a significant investment that demands a decent return. With this in mind, there are a number of techniques that all small businesses can use to increase the performance of their servers. One is the adoption of blade server technology, which is based on an array of thin, modular electronic circuit boards that each works as a server, such as the PowerEdge range from Dell. It offers a compact, better optimised server footprint, with all the server controls such as memory and I/O interface moving to the server chassis. This enables business users to focus on gaining the best performance from each blade. Blade servers can be installed much more compactly than traditional servers, and the chassis should be full to deliver the best performance and most efficient use of energy. Virtualisation can provide performance benefits, and some small businesses are gaining massive improvements in their server utilisation through the technique. The benefits have been outlined by security specialist Symantec in a white paper on the subject. "Implementing protected virtualisation in a business is not difficult or expensive," it says. "Many businesses are successfully deploying virtual environments and benefiting from them. These businesses are saving money, enjoying increased flexibility for growth, and finding it easier to maintain their overall IT infrastructure." The recently announced version 6 of Dell's Wyse WSM desktop and application virtualisation software includes server streaming capability to help organisations virtualise their server estate and adopt cloud computing. Next comes server throttling, which involves taking more control over the power used by a server, which can have a dramatic impact on its performance. Server throttling enables IT managers to develop a power usage map to reduce the power consumption of servers not in use, or working with reduced loads. Dell says this is one of the advantages of the PowerEdge range: "PowerEdge servers use throttling for many purposes, including optimising the amount of work that is done for the energy consumed, ensuring smooth operation in the face of cooling challenges, and keeping component temperatures optimised inside the server during peak workloads. "Optimisation of the server component temperature helps to ensure that PowerEdge servers are resilient and reliable so they meet your organisation's long term needs." Connecting severs over a network can also improve the overall performance. Often, a small business may have a number of offices running separate servers, and if these are properly connected it can boost efficiency. 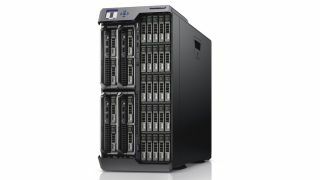 Businesses that are using the Dell PowerEdge VRTX can now connect these servers together using Silver Peak's integrated WAN optimisation software. Finally, a move to using solid state drive (SSD) memory can deal with the bottlenecks that occur within server platforms. It is also robust and offers lower levels of latency than traditional hard disk drives. The server market has been evolving rapidly, with many of the developments meeting the needs of the small business sector. Companies have realised that having servers at the foundation of their IT is all well and good, but these installations must be optimised to really boost its performance. Using a combination of well chosen hardware, proper configuration and a defined roadmap for the expansion of server usage can help any business using servers to become more efficient and obtain gains at its bottom line.